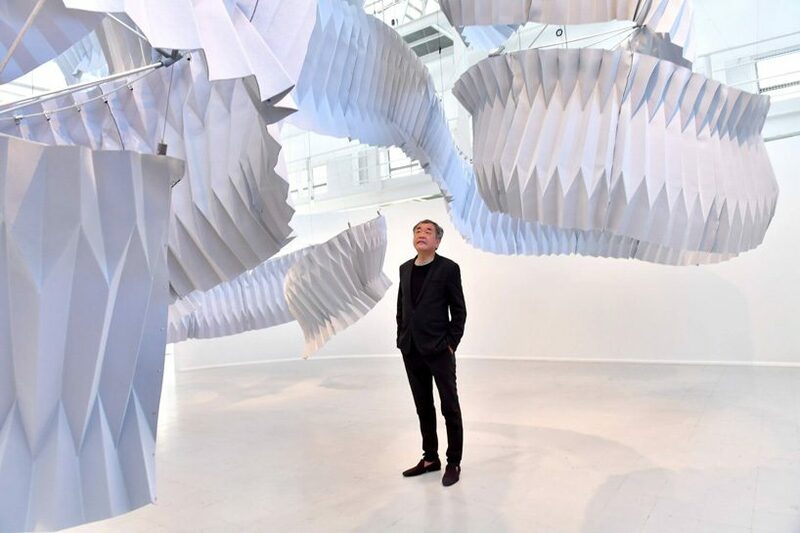 kengo kuma presents a giant spiralling air-purifying sculpture with the ability to absorb the emissions of 90,000 cars per year. 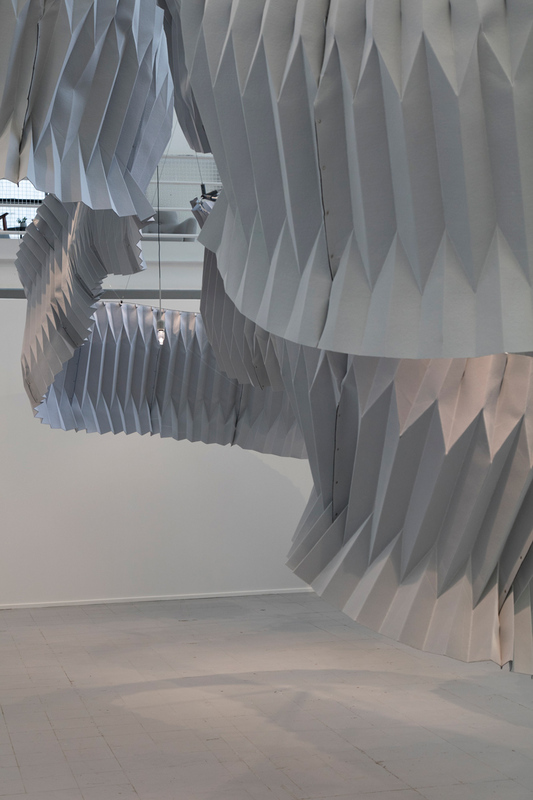 the sculpture – titled ‘breath/ng’ – comprises 120 hand-folded panels and is a towering 6 meters tall. 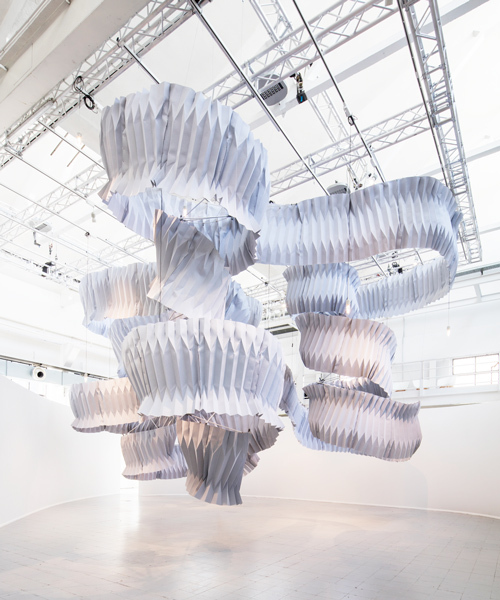 with breath/ng, kengo kuma aligns technology with japanese ancestral origami technique, using 175 square meters of an innovative fabric called the ‘breath technology’. 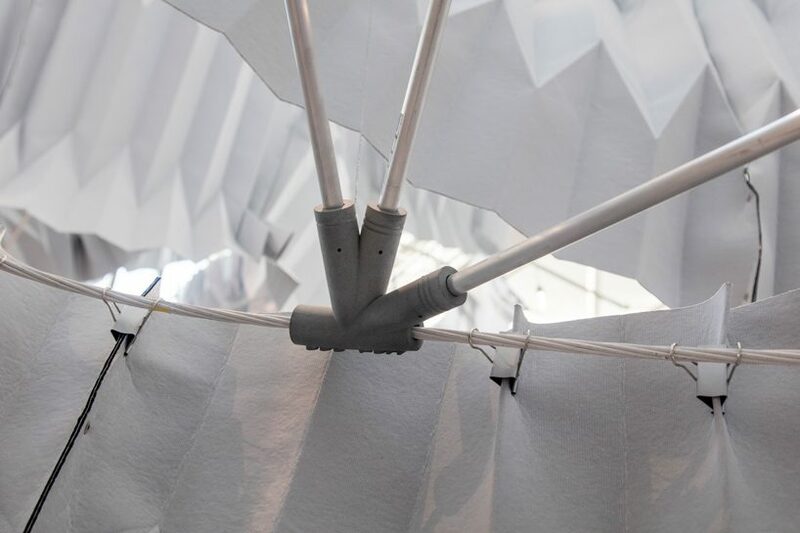 the fabric filters the air by capturing the pollution, cleaning the particles and generating clean air. developed by anemotech, this pollution-neutralizing material contains a nano-molecule activated core that separates and absorbs toxic molecules. the project is made in collaboration with 3Dexperience company dassault systèmes and forms part of their ‘design in the age of experience’ approach, creating sustainable solutions and unique customer experiences that serve a better future. 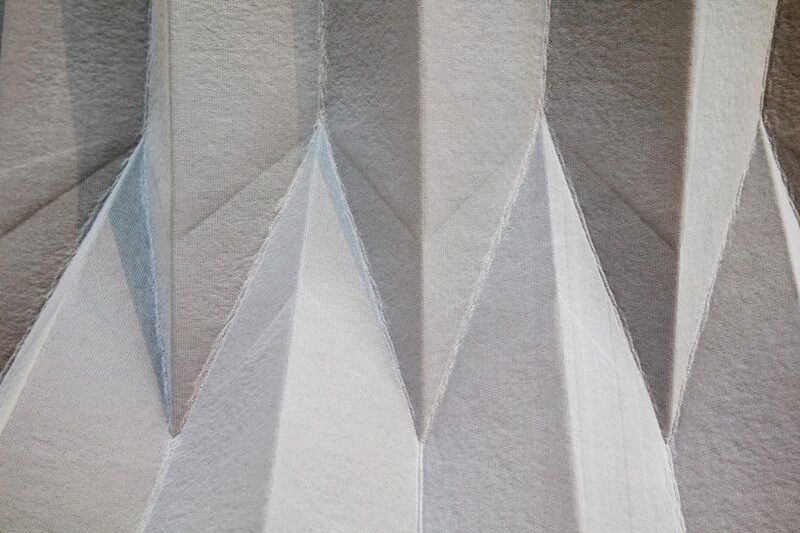 the entire structure was developed using the company’s advanced dassault systèmes software and tools. 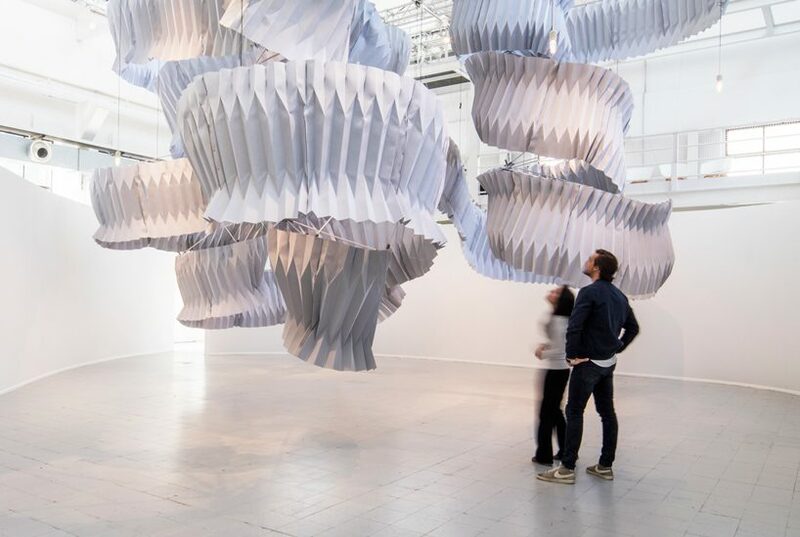 originally on display during milan design week, the spiral is suspended from a single carbon fiber rod and fixed in place by 46 unique 3D-printed joints, which were made with a HP multi jet fusion printer. 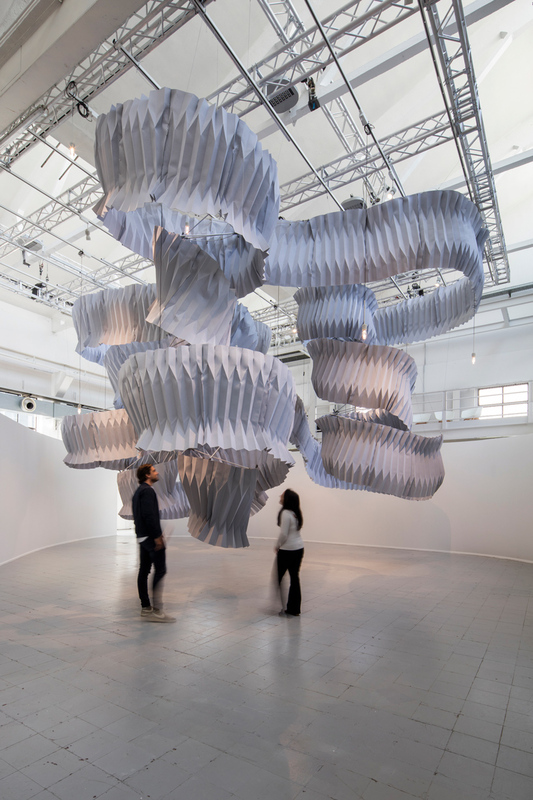 along with kuma’s spiral, dassault systèmes presented other ecological works by daan roosegaarde and wesley goatley and superflux. 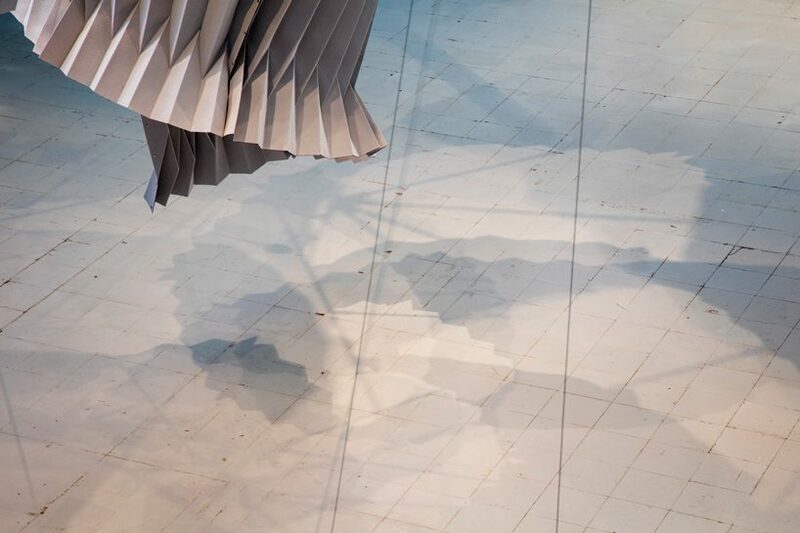 The form makes me think a lot to this work made by students from Ecole Nationale Supérieure d’architecture de Versailles made by bending poplar : https://www.facebook.com/EnsaVersailles/photos/a.1973461362903354.1073741854.1571282356454592/1973461509570006/?type=3&theater beautiful !